Cassie and I have come a long way since this first picture that we added to a flickr group called "365 Blythe." At first, I was worried about committing to this project, and thought that once Riley was born, I would fall off the wagon completely. I started anyway, and I'm glad I did! 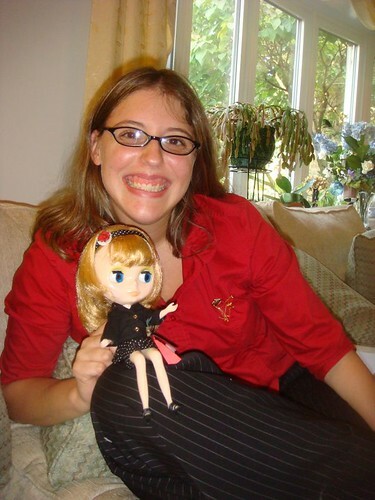 As I got more comfortable taking Cassie's picture I brought her with me on outings, and let some of my friends and family see her. 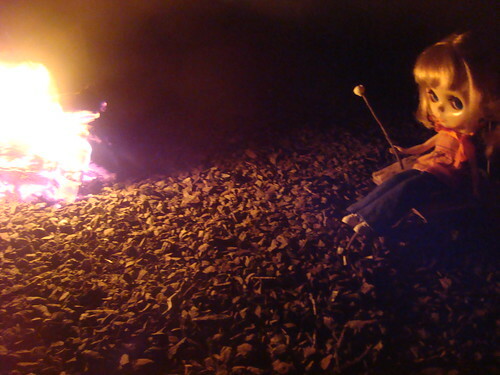 We went to the Poconos with my friend Lauren and she helped me pose Cassie in front of the fire. 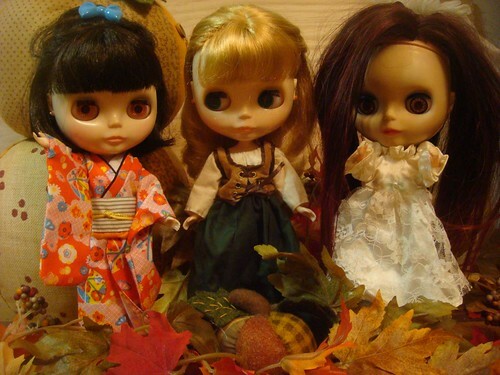 I got my second Blythe, Hana, in July/August of last year. I started working on customizing her, including a reroot. Sadly, it still isn't finished, but here is a progress pic! 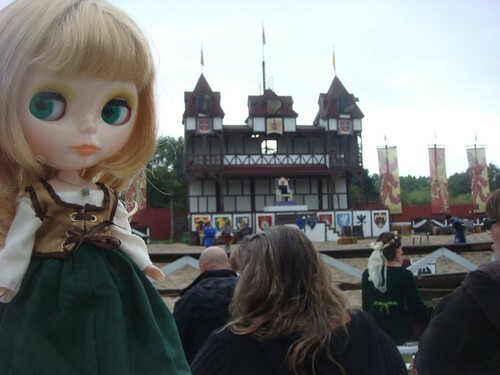 Every year Hubby and I go to the PA Renaissance Faire, and this year, Cassie came too. I sewed her outfit and took pics of her all over, in between little spurts of rain. Some of my photos were certainly more creative than others. This was taken well after I had removed Hana's old hair, but I still had it laying around when I got the idea for this photo. 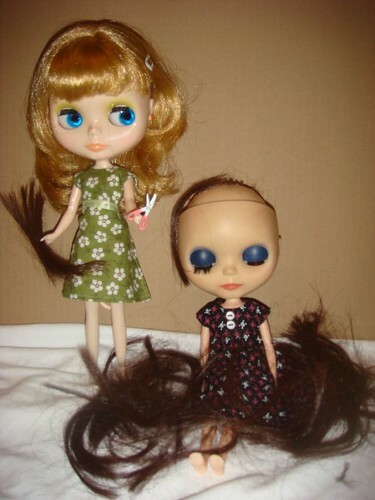 Poor Cassie would NEVER do anything like that, but at that point they were my only two dolls! On October 25, my daughter Riley was born! One of my pics from before Riley was home from the hospital was the Cat and Cassie 'sensing a great disturbance in the force.' 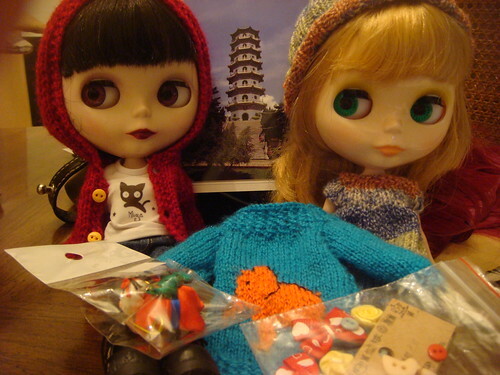 I got Yula, my third Blythe on my birthday, three days before Riley was born. Poor Yula didn't get much attention, but I did get to some of her custom work very late one night. It's still not finished...eek! At first I found it really easy to juggle my hobbies and Riley. She slept a lot, and I got some custom work started on Yula (who arrived on my birthday, three days before Riley was born). I kept up with 365 and staged some cool Halloween pics. Reaching photo 100 felt impressive, but there were still 265 pictures to go! I met a lot of people through 365, including Kieny, who was also doing the challenge with a Cassiopeia Spice (Summer). 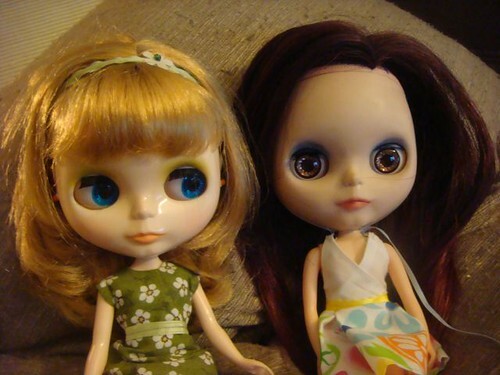 Kieny and I decided to try a swap (my first!) and these were the beautiful knits that she sent me! 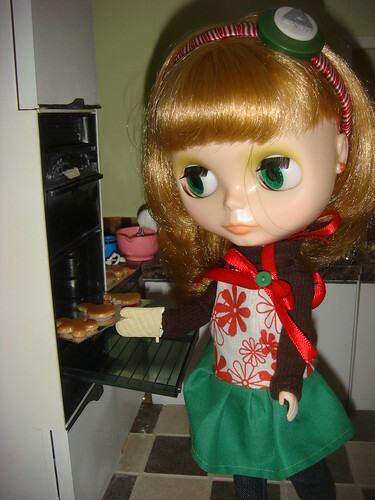 I finished my dollhouse kitchen in time for Christmas, and staged this photo. 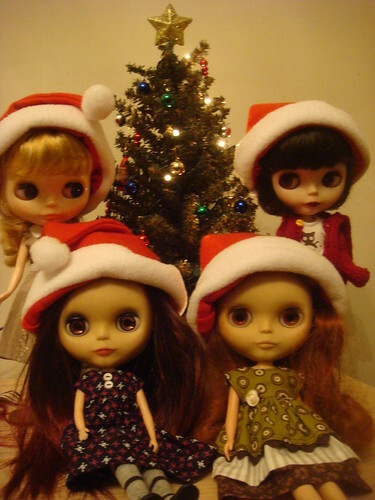 By eleven pm, I had all sorts of things to do, but the only thing that I felt I really WANTED to do was to make Cassie's Christmas apron and stage this photo. This was the first time I really had to say, "I'm going to do what I WANT to, and the housework can wait." Until Riley, I'd always had time to do it all. Finally got to use this coat that I got for Cassie before she'd even arrived.